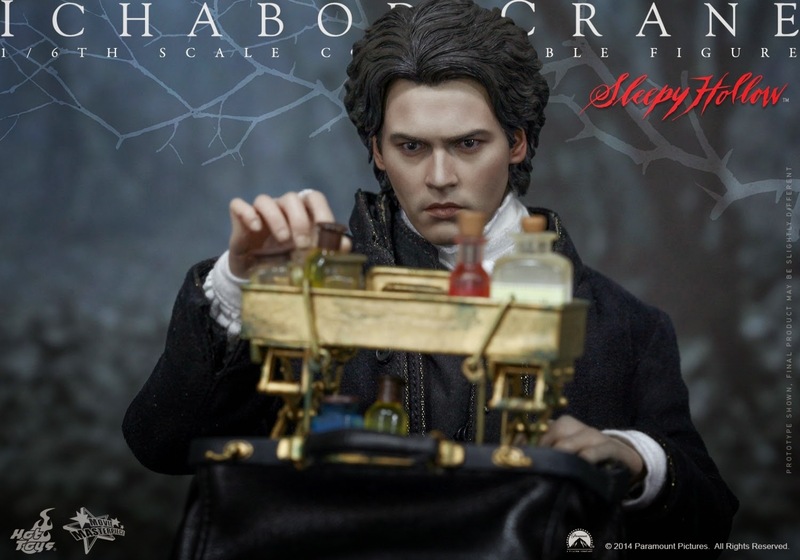 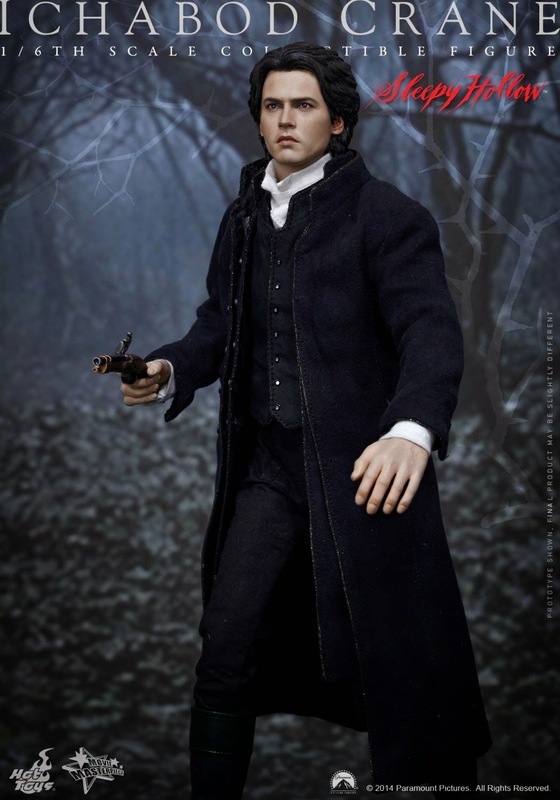 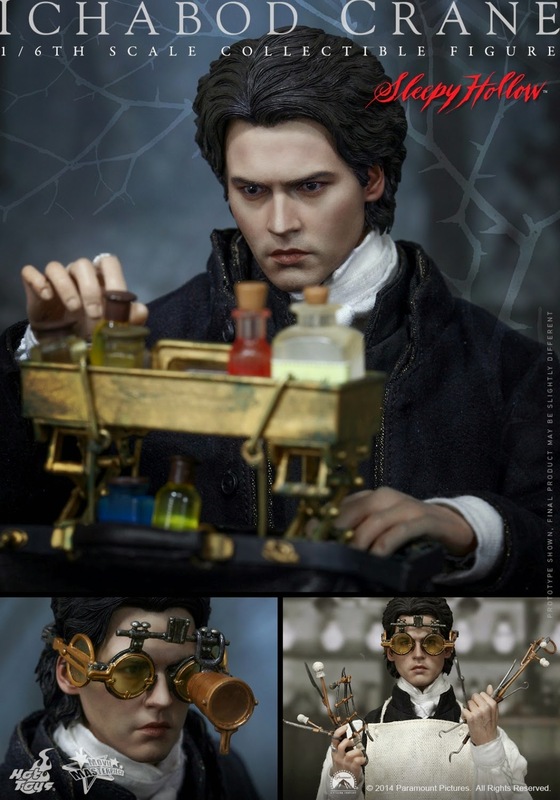 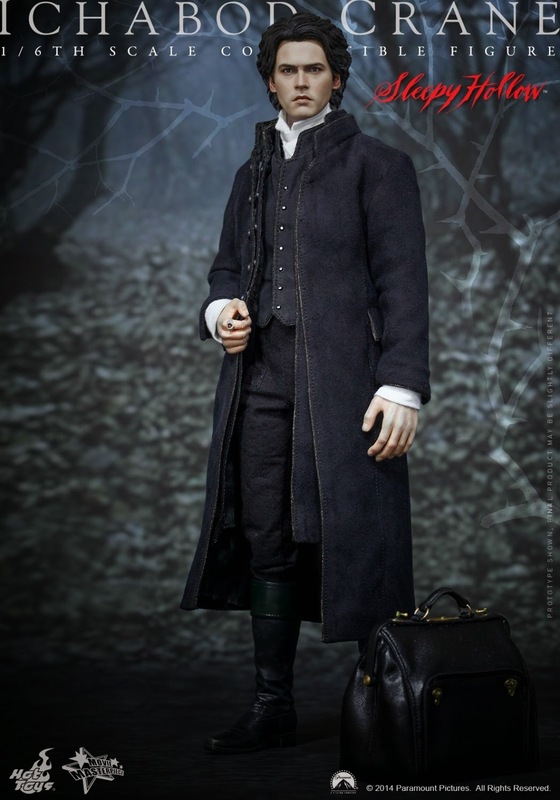 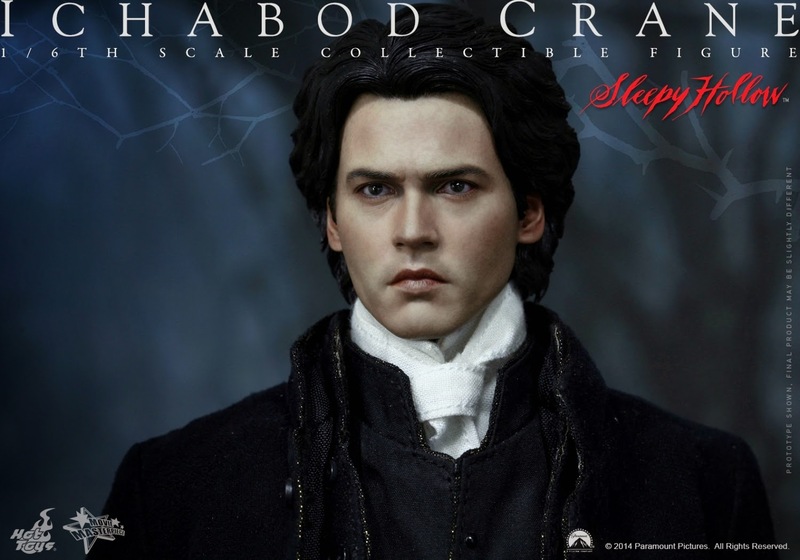 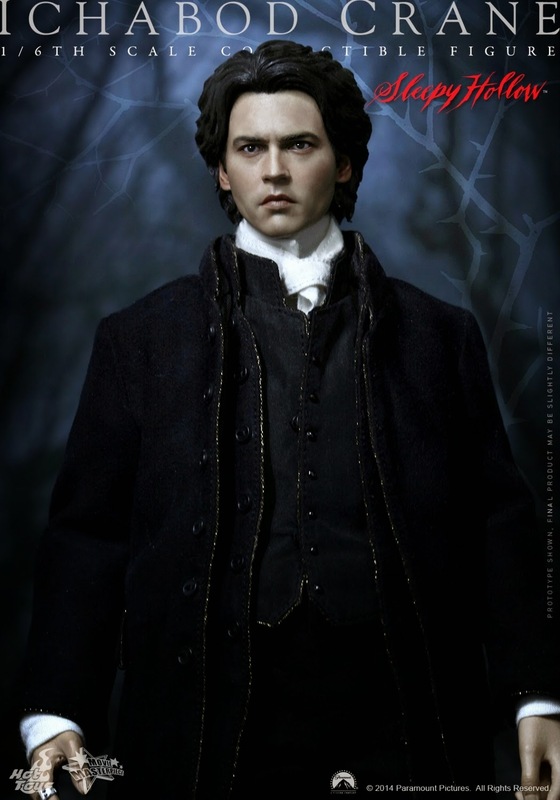 Hot Toys' love affair with Johnny Depp continues apparently with the announcement of this new figure of the star as Ichabod Crane from Tim Burton's not-so-great Sleepy Hollow film. 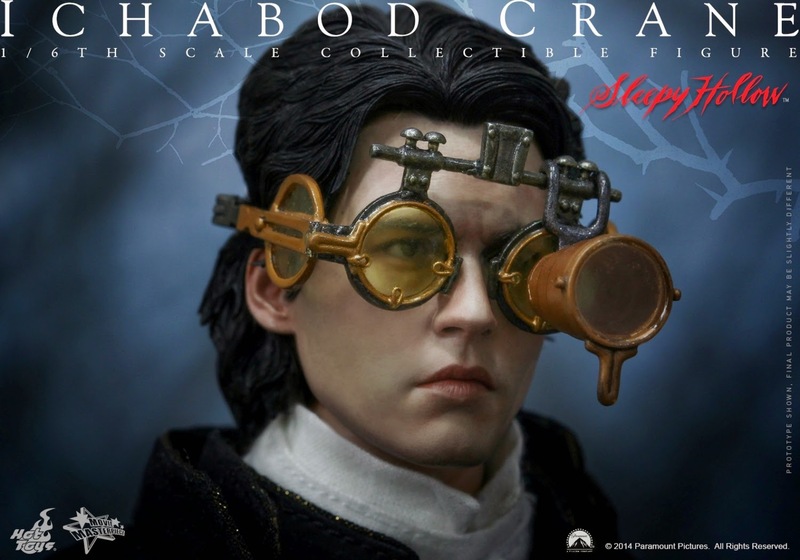 Obviously, this is not what anyone would call a "hot property", but Depp's likeness sells toys-- especially internationally-- and Hot Toys seems to own his likeness rights, so-- not too surprisingly-- here comes another Johnny Depp figure. 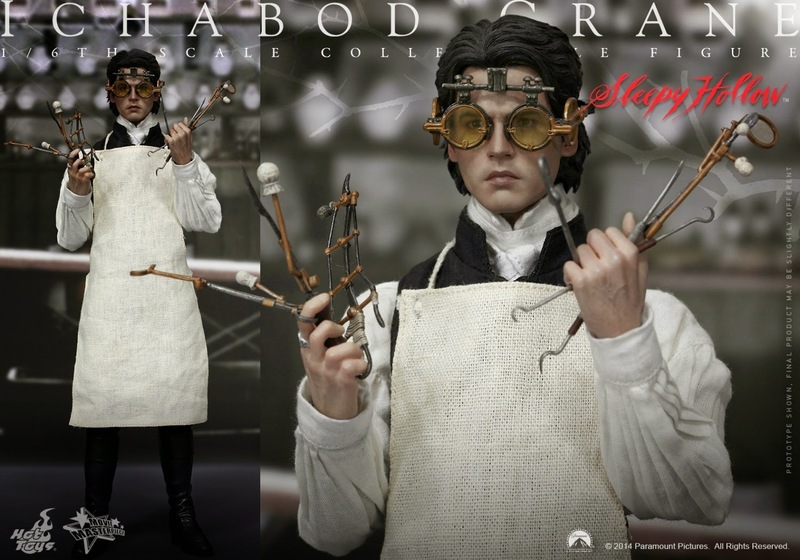 Hot Toys is doing their usual bind-blowingly awesome work on this figure, complete with everything you'd want to see included-- assuming you'd want to see this figure at all. 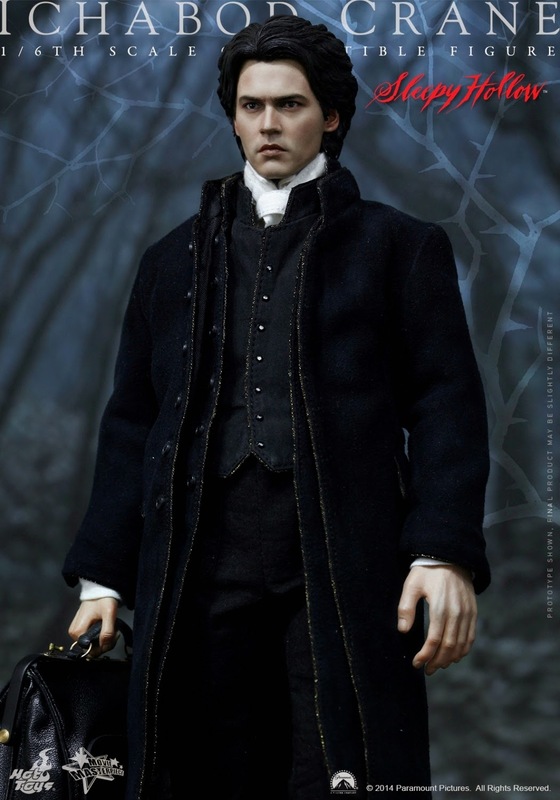 I'm sorry if I'm coming across as putting this figure down, I'm not. 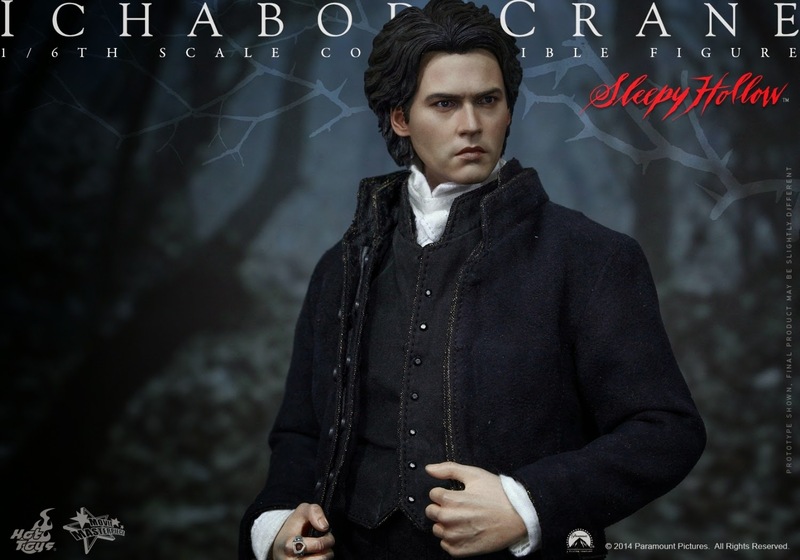 I guess I'm being a bit selfish and would prefer to see their figure slate populated by more interesting or "fan demanded" figures. 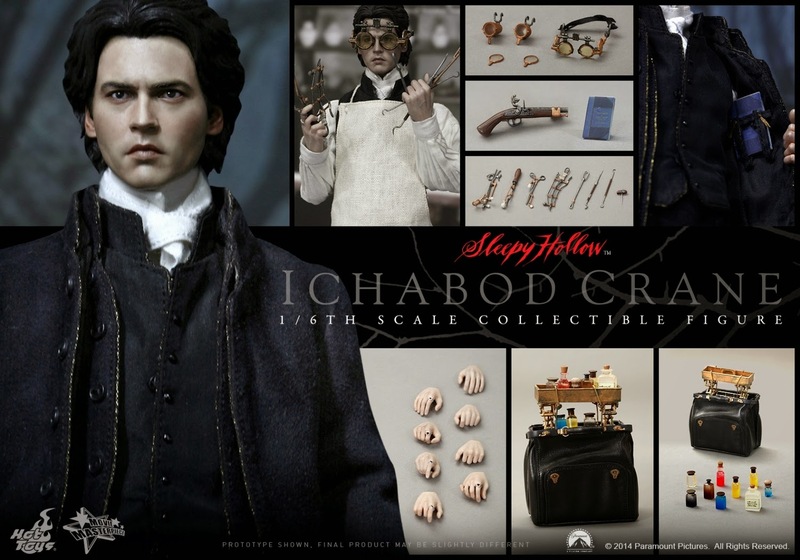 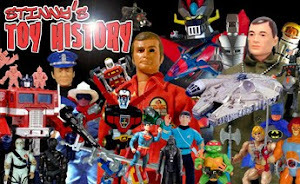 But, this is part of what Hot Toys is about. 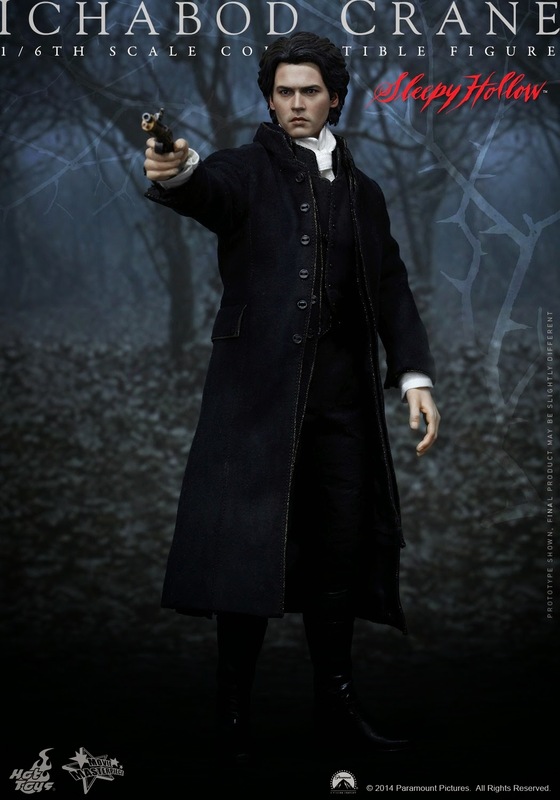 They don't just do all the latest and greatest characters, they also go back to older films and surprise us character we never thought we'd see.